Our friendly reception is ever ready to welcome you to our hotel. 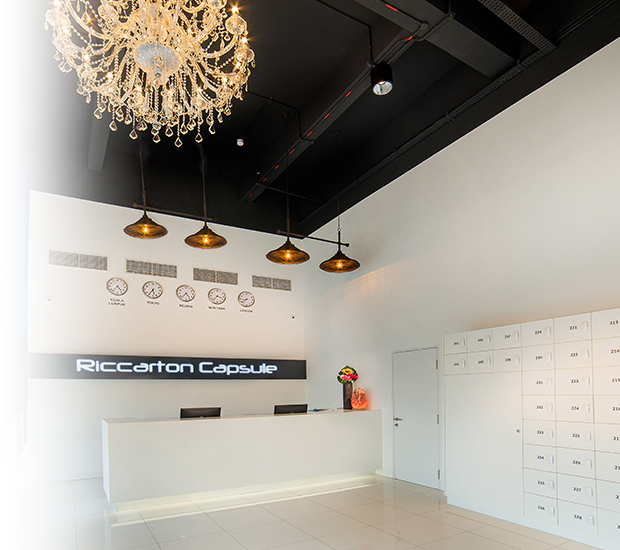 In order to give our guests a memorable experience, our reception will guide you on the journey from check-in right up to your capsule. We will explain the house rules and introduce all available amenities to our guests to ensure they have an enjoyable stay. Just like they do in Japan, we will provide new slippers for each guest to use while they’re inside the hotel. Lockers are provided to keep your footwear neat and safe. This is to maintain the hygiene and cleanliness of the hotel environment for everyone to feel comfortable while using any of the hotel facilities. Whether you’re travelling for business or leisure, you can utilize our work desk area with complimentary WiFi connection to make the most of your time at the hotel. 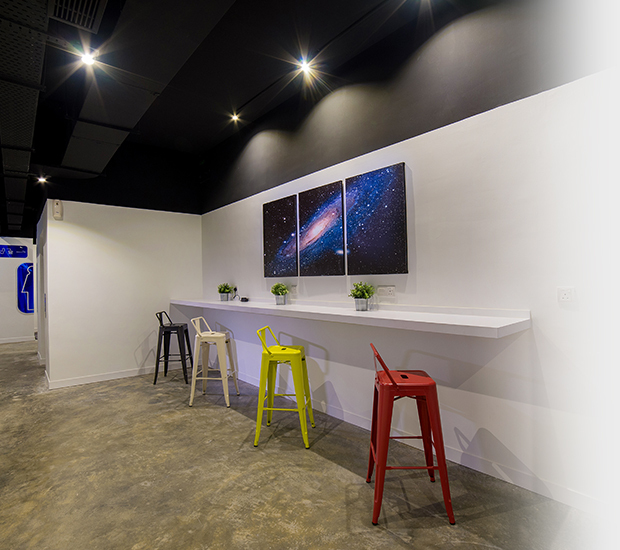 Complete with cozy chairs and well lit, this quiet area provides multiple universal plug and USB power points for you to charge your electronic devices while you work or surf the internet. We also offer digital printing services upon request. Showers and toilets are a shared facility at the capsule hotel. 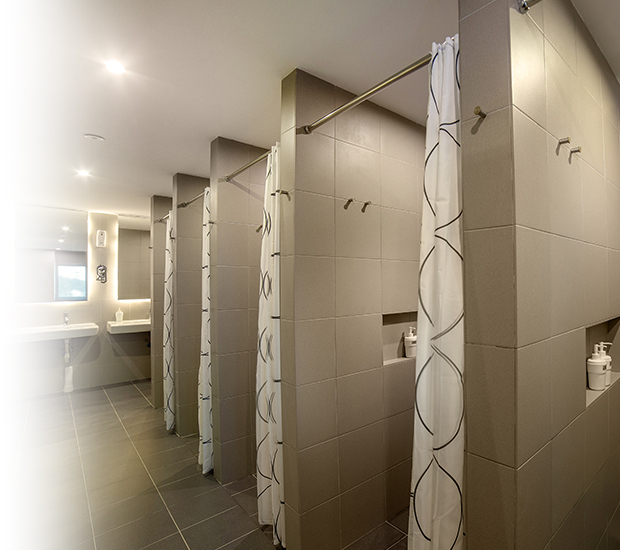 Men and women have separate washrooms in a modern design with environmental-friendly features. For convenience, all guests are provided a complimentary toiletries kit which contains a toothbrush, toothpaste, shampoo and soap. Our facilities are professionally cleaned to upkeep good hygiene for our guests. We will provide a complimentary luggage locker for each guest to store their baggage safely without crowding their capsule room. 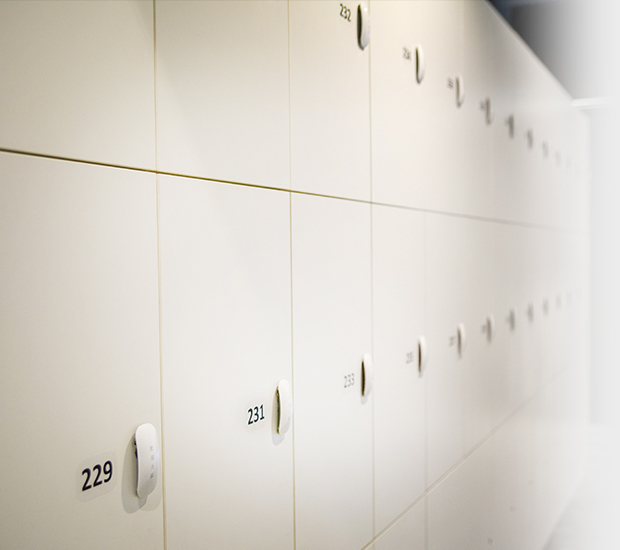 Our luggage lockers are installed with electronic security locks to keep your personal belongings safe and sound. We also have CCTVs monitoring the lockers to safeguard your property. If you would like to enjoy the outdoors, pay a visit to our Roof Garden Café for a breath of fresh air. 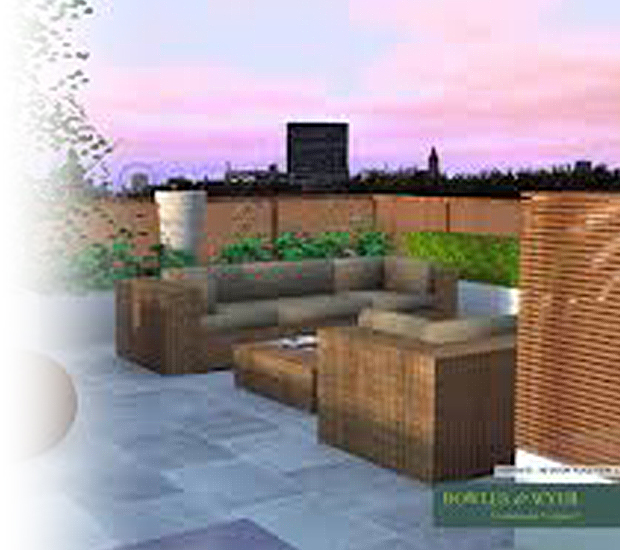 With coffee tables and cozy chairs set in lush greenery, our guests can kick back and relax in this alfresco area. Enjoy some refreshments from the vending machines provided or read a book in this peaceful environment. Ideal for having quiet conversations or just to spend some alone time while appreciating nature. There is also a self-service laundry area equipped with washing machines and dryers if you need to clean your clothes during your stay.